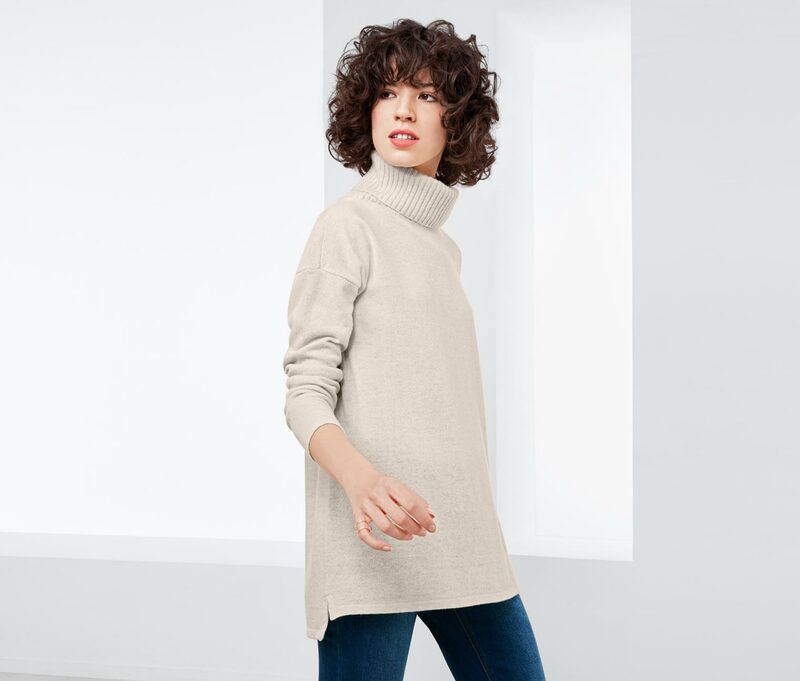 Quite casual - and quite comfortable to wear: This turtleneck sweater is particularly soft and warm with its blend of merino wool and cashmere and lies thanks to the wide, generous cut very loose on the body. The sweater with slightly overcut shoulders has a slightly longer back and is provided with side slits. The turtleneck itself has a fashionable ribbed structure.